FRESNO - The Big Fresno Fair is now accepting nominations for two of its most prestigious recognition programs – its Hall of Fame, which is in its eighth year, and its Community Champions Awards, now in its seventh year. The Big Fresno Fair Hall of Fame honors individuals who have demonstrated long-time continued support and extraordinary passion for the betterment of the annual Big Fresno Fair. The Hall of Fame honors those who have been involved with The Big Fresno Fair, whether that be as a long-standing exhibitor, a previous employee, volunteer or community proponent and supporter, for their continued efforts to preserve the longstanding tradition that is The Big Fresno Fair. Since its inception in 2007, there have been 34 individuals inducted into the Fair’s Hall of Fame. The 2013 Hall of Fame inductees included: Tim Bakman, Gary Nelson, Mike Fitzgerald, Robert Smittcamp and Marvin A. Meyers. Go to www.FresnoFair.com/hall-fame to download the nomination form. The Big Fresno Fair’s Community Champions Awards formally recognizes individuals who have demonstrated an extraordinary passion for the betterment of Fresno County. Awards are given in four categories: Youth, Volunteer, Humanitarian and Educator. The Fair needs the community’s help in bringing attention to those individuals so that they can be recognized. The winners of The Big Fresno Fair Community Champions Awards in 2013 were Teri and Ken Penfold – Community Champion, Volunteer; Sharon Johnson – Community Champion, Humanitarian; David Lopes – Community Champion, Educator; and Al Smith – Community Champion, Special Award. Go towww.FresnoFair.com/community-champions to download the nomination form. 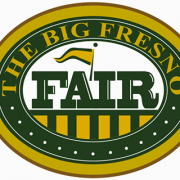 “These programs provide an opportunity for the Fair’s Board of Directors, Management and staff – and the public – to publicly display our appreciation for those individuals who have shown the highest level of commitment to the Fair and our community,” said John C. Alkire, CEO of The Big Fresno Fair. Nominations are currently being accepted for the 2014 Big Fresno Fair Hall of Fame and Community Champions Awards. The deadline for submission is August 15, 2014.There is no limit on the number of nominations an individual or organization can make. Once individuals are nominated by a community individual, Big Fresno Fair staff or past Big Fresno Fair Board of Directors, nominations will be reviewed by The Big Fresno Fair Board of Directors at their August Board meeting. At that time the Fair Board will vote on Hall of Fame inductees and Community Champions Award winners. Those individuals will then be formally announced and recognized at Opening Ceremonies on October 1st and will receive prominent visual recognition at the Fairgrounds and on The Big Fresno Fair website.